Could you provide the MF and RV for T6 Inscription for 24/30/39 months with 10k and 12k miles please and incentive for MD/DC area. Sorry for the newb question, but how are the $4500 allowance and $3500 lease bonus calculated? Are those stackable untaxed incentives? Theoretically $8000 off when leasing? One of them is a dealer incentive, so reflected in your negotiated discount. The other is a consumer rebate, applied as a CAP reduction and taxed. Can you please provide MF/ Residual for 2017 S90 T6 Momentum for 24/36/39 15k for Zip 06109? Any incentives? Thank you! Can you please provide MF/ Residual for 2017 S90 T6 Inscription for 24/30/36 12k for ZIP 21209? Can you please provide MF/Residual for 2018 S90 T6 Inscription for 24 months and 20k miles -- zip 07430? Any incentives/bonuses? 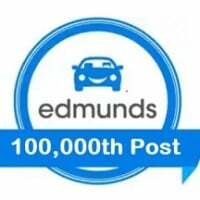 Please post 24/30/36 month residuals/incentives for 10k miles for the 2017 T5 and T6 MOM and INSC. 27519 Thanks in advance. Please post 24/30/36 month residuals/incentives for 10k miles for the 2017 T5 and T6 MOM and INSC. The same as in the post directly above yours. MOM: .00022 MF and 56%/50%/46% residual. Can you confirm the Volvo Allowance for the Southern region (27519)? According to another website, it looks like it's regional again this month. Also, can you confirm the 2017 S90 T6 allowance/incentives for zip code 90210 (as another site, shows a much higher figure for that zip). We only got the Western regional numbers for February, sorry. Please post 24/30/36 month residuals/incentives for 7.5k miles for the 2017 T5 and T6 MOM and INSC. 60610. Thanks in advance! Hello, could you provide current mf/rv and allowances for a t6 momentum , 36/15, in 92014. Thanks! Ok, looking at a 2017 s90 t6 Momentum AWD Zip Code 45373 could someone please provide the MF/RV/incentives based on 36/10k. There are no lease program numbers for the 2017 S90, for March. Please post 24/30/36 month residuals/incentives for 12k miles for the 2017 T6 AWD INSC and 2018 T6 AWD MOM and AWD INSC. 48822 Thanks in advance. There are no lease programs for the 2017 models.